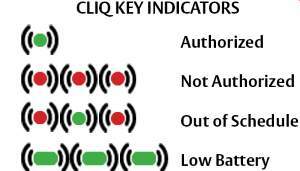 Using a CLIQ electromechanical key is as simple as using any other key. 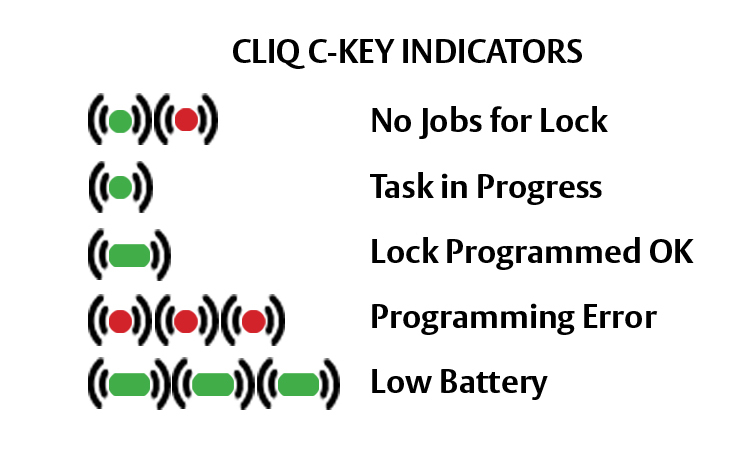 In fact, CLIQ keys combine mechanical security and electronic convenience to improve accountability and reduce risk. Keys may only be factory duplicated and are custom produced for every customer. No two systems are the same. Once the key is fully inserted into the cylinder, the battery in the key will automatically provide power and highly encrypted data to the cylinder. This process takes approximately a third of a second. The key is ready to be turned only after the key and the cylinder have established communication. If permission is granted, the key will turn and the cylinder will unlock. If permission is not granted, the key will not turn and the cylinder will remain locked. Keys are water resistant, but not water proof. Do not submerge in water. Should a key be exposed to liquid, dry with a towel. Do not place the key in an oven or microwave. Keys will operate normally in temperatures from -22 degrees F to 122 degrees F.
Key batteries are generally rated for 20,000 openings or two years. CLIQ keys use a standard Lithium battery, #CR2025, which are available from your locksmith dealer. 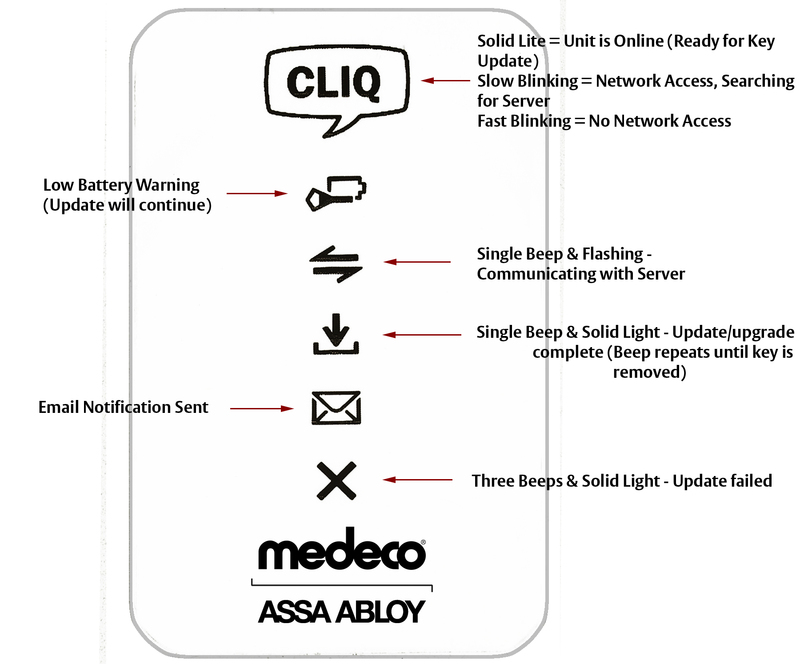 Your CLIQ key has both LED and audible alerts to let you know your key’s status. CLIQ keys are warranted to the original user for two years from the date of purchase to be free of manufacturer’s defects in material and workmanship. - ”Programmed OK” response will repeat until the C-Key is removed.